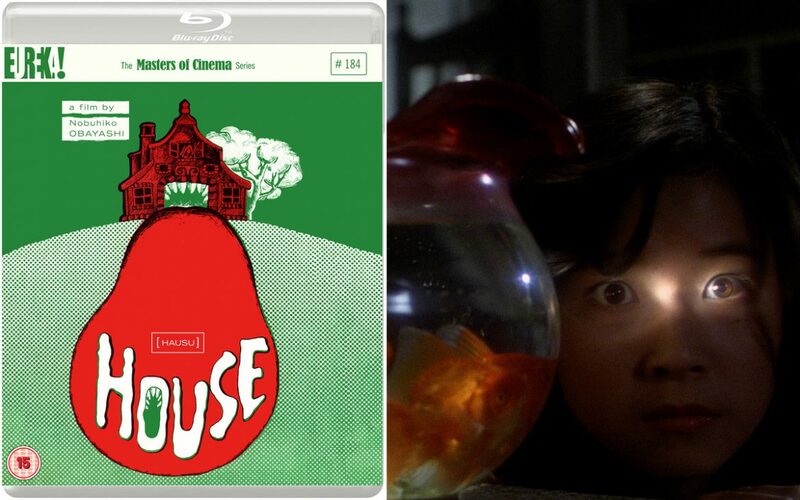 Nobuhiko Obayashi is a prolific Japanese filmmaker whose career’s gone largely unnoticed in the west, beyond the cult success of his debut feature House (1977), a deranged horror-comedy about a man-eating building. 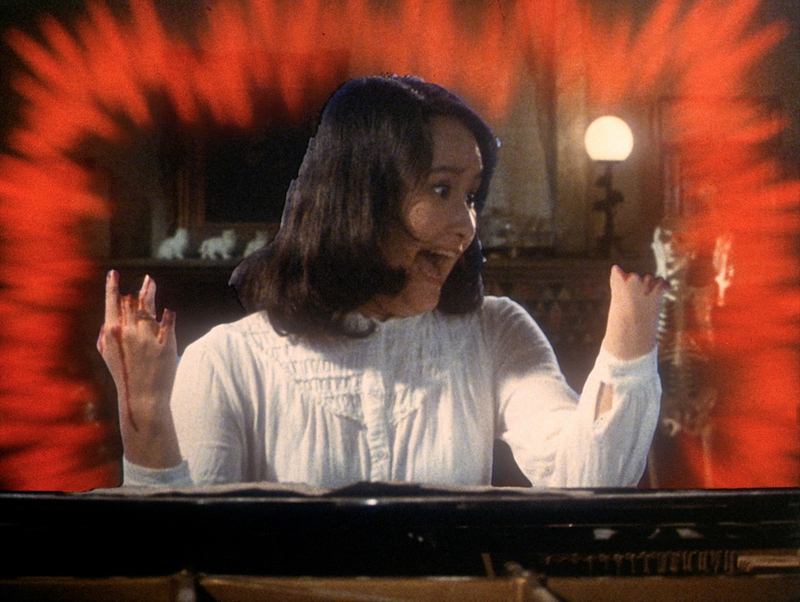 In the late-1970s, Toho studio wanted to emulate Jaws (1976) to pull Japanese cinema out of the doldrums, so Obayashi was commissioned to write a treatment inspired by his teenage daughter’s stories about various domestic horrors (like being devoured by her own reflection in a dresser mirror, or the keys on a piano biting her fingers). In House, beautiful schoolgirl ‘Gorgeous’ (Kimiko Ikegami) meets her new glamorous stepmother (Haruko Wanibuchi) and, unable to accept her father’s moving on from her late mother, asks to spend the summer away with her aunt (Yōko Minamida) in the countryside. Her request granted, she invites six of her friends to come along with her: clever ‘Prof’ (Ali Matsubara), musician ‘Melody’ (Eriko Tanaka), martial artist ‘Kung Fu’ (Miki Jinbo), gluttonous ‘Mac’ (Mieko Sato), cute ‘Sweet’ (Masayo Miyaho), and daydreaming ‘Fantasy’ (Kumiko Oba). Together they’re like Kurosawa’s Seven Samurai, unwittingly about to fight for their lives, because after arriving at the rural abode the girls come under attack from various objects and start witnessing paranormal oddities — like a disembodied head replacing a watermelon they’d lowered into a well to keep refrigerated. And when auntie disappears, the youngsters find themselves trapped indoors and facing a variety of supernatural traps and ghoulish surprises. That sounds like a brilliantly simple and compelling setup for a madcap ghost story, and it’s true House is the work of a filmmaker with a singular artistic vision. But it suffers from low production values, dirt cheap effects (intended to mimic what a child might imagine into existence), and weak acting from a cast of amateurs outside of Ikegama and Minamida. 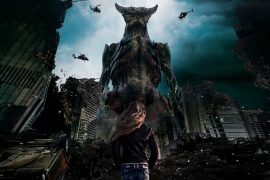 Toho described the script as “incomprehensible” when they first read it, and only agreed to produce the movie after a radio adaptation proved popular. 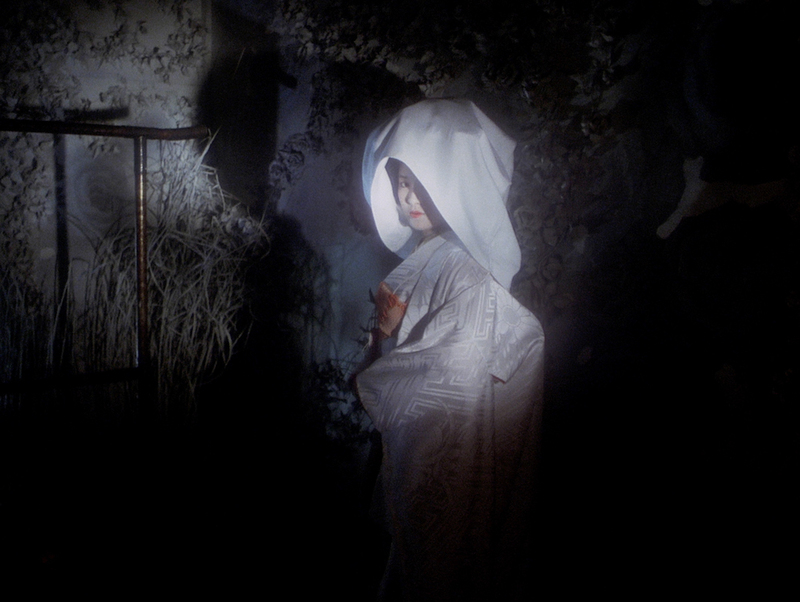 Even then, no director wanted to touch it for fear it would end their careers, so Obayashi himself took up the reigns, hoping it would be his launchpad from TV commercials and experimental 16mm film. 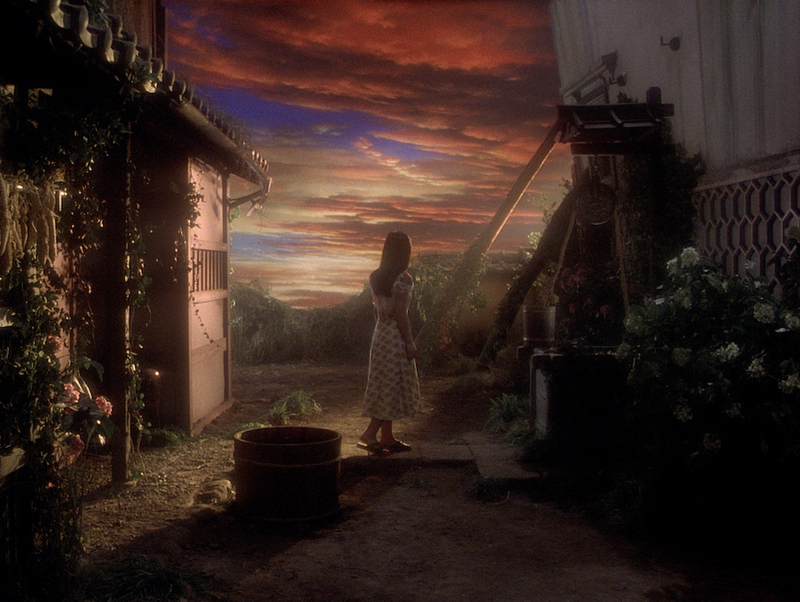 Obayashi’s background in adverts is noticeable in House having a clear and visually distinct way about it, but it’s also very choppy and only truly comes to life once the story focuses on spewing up looney visuals. 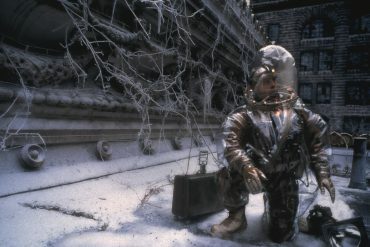 There are some fun and insane moments to savour, which in isolation give an impression this movie’s going to be a riot, but a thin story and the stereotyped characters struggle to connect. That makes it a pretty hollow experience overall, while the chintzy visuals (no matter how intentionally so) have dated it very badly. I still can’t get over a moment when a teacher is stop-frame animated falling into a tin bucket, or a sequence on a train when the camera telescopes into a part of the frame to highlight a horror compendium book. Throughout, you get the sense House was made by a madman playing around with the tools at his disposal, almost willy-nilly, but only occasionally does the enthusiasm and crackpot style cohere into anything eerie or deliciously insane. Obayashi even admits he was “80% producer, 20% director” on House, as he fundamentally knew what teenagers in the late-’70s wanted from homegrown cinema, which was coming under threat from Hollywood at the time. 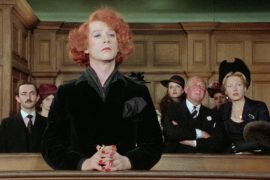 His marketing background also helped make the movie a success, as Godiego’s soundtrack was released beforehand to build interest before it premiered. 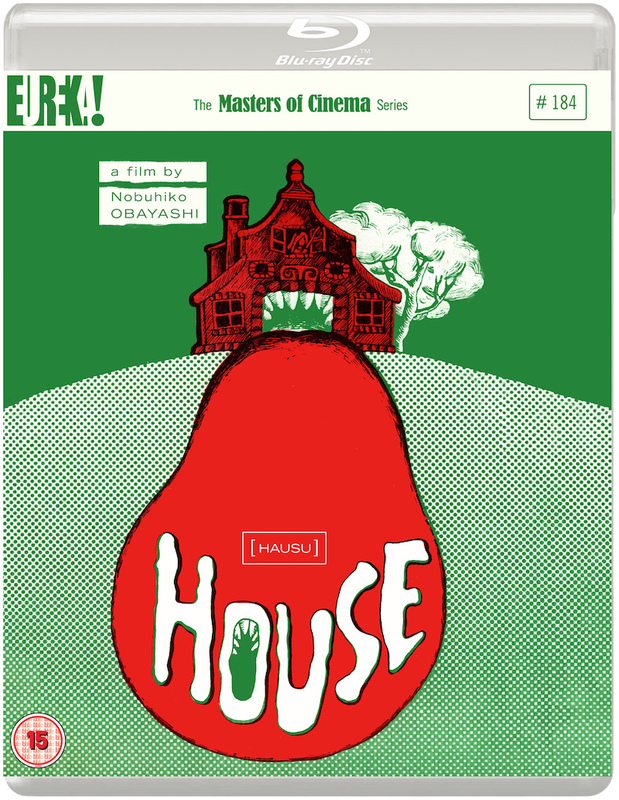 In recent years, arthouse lovers have rediscovered House and it’s started to gain more appreciation as a classic of world cinema, and I can understand why people fall under its spell. To western eyes, it’s a bizarre mix of kooky characters, weird artistic choices, atrocious bluescreen, and earworm piano ditties. It’s a memorable window into experimental Japanese bubblegum cinema of the ’70s. There are certainly moments that work and made me smile (like a flashback the characters give a group commentary on, as if they’re part of the audience), but there’s also a lot that feels like undisciplined overload. 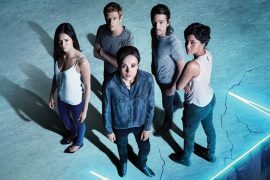 The finale’s sustained mix of WTF imagery and psychedelic colour is difficult to pull your eyes away from, and there’s enough uniqueness in House to recommend it with caveats… but I can’t say it’s particularly funny or frightening for a horror-comedy. It’s just a memorable oddity that will appeal more to those who savour kitsch craziness. Stunning 1080p presentation from a high-definition digital transfer. Original monaural soundtrack presented as uncompressed LPCM audio. An exclusive video essay by critic and filmmaker David Cairns. This is a great half-hour of footage from the movie, broadly covering the film’s origins, production, and legacy. 90-minute archive of interviews with director Nobuhiko Obayashi, scenarist Chigumi Obayashi, actress Kumiko Oba, and Toho promotional executive Shoho Tomiyama. Taken from the 25th anniversary DVD release, this a cumulatively exhaustive selection of interviews with key figures behind the creation of House. A 44-PAGE booklet featuring an essay by Paul Roquet, and archival imagery. writers: Chiho Katsura (story by Chigumi Obayashi). starring: Kimiko Ikegami, Miki Jinbo, Ai Matubara, Kumiko Oba, Mieko Sato, Eriko Tanaka, Masayo Miyako & Yōko Minamida.